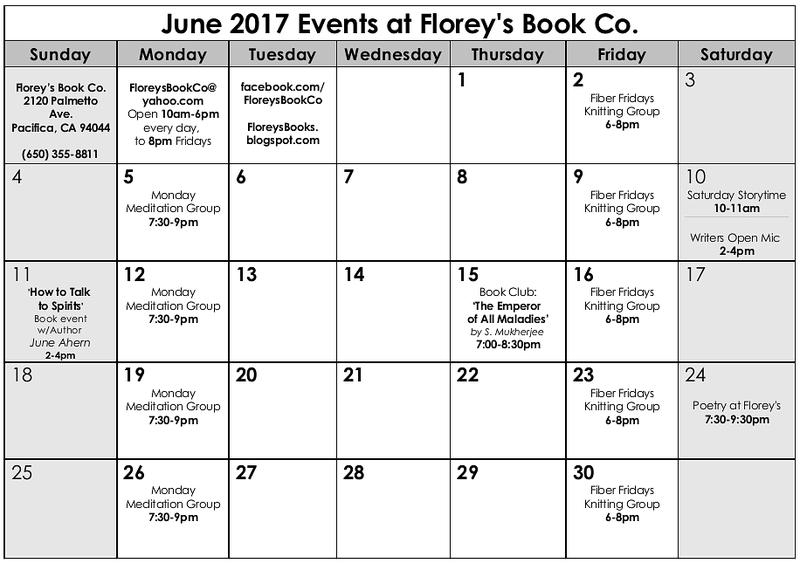 June 2017 Events at Florey's Book Co.
-"How to Talk to Spirits"
an unusual and often, sensitive subject. 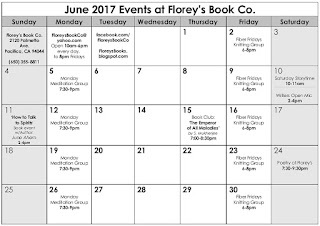 May 2017 Poetry at Florey's! The featured poets this month are Walker Brents, III and Marvin R. Hiemstra. It's time for an announcement of this month's poetry reading. I am delighted to say that we will welcome Walker Brents, III and Marvin R. Hiemstra as our featured poets, and I hope you will all consider joining us. It's going to be a unique and memorable evening! Please also bring, if you can, drinks, snacks or supplies (cups, napkins, plates) for the table. You are invited to share your own, or a favorite poet's work at open mic (3 minutes, please). NOTE: Traffic on the coast has gotten considerably heavier in the last few years. Especially if the weather is good, allow a little extra time to get to Florey's. Walker Brents III is storyteller/artist-in-residence at Berkwood Hedge School in Berkeley. Here he accesses narrative forms of a great many times and places, within each of which a literary germ awaits its revelation as an open secret. For some fifteen years he has provided a once-a-month series of speech-performances covering various poetic, mythical, and literary subjects at Bird and Beckett Bookstore, as an offering to its Cultural Legacy Project. He also relates stories from the ancient epics at the Asian Art Museum. His book, Mirage Farm, was published in 2005. As to his poetry, he holds to the subliminal tents of late 20th century symbolist/surrealist/abstract-expressionist styles, in all their idiosyncratic variations, shaped by the blowing winds of modernism in its "pre" and "post" forms. Which is to say his inheritance is free-verse American vernacular poetry, which assimilates back into itself, through each practitioner, all it seems to cast off. The timeless element comes in with the suggestion of myth, of myth as a presence. What is myth as a presence? 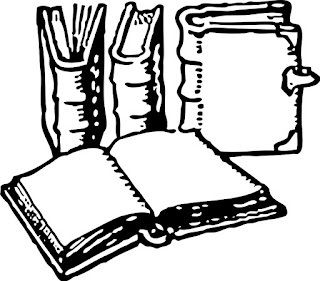 A visitation of awareness, awareness of the magnetic core of perception and experience, awareness of the analog which gives each its texture, an awareness expressible as text, as speech or upon the page. Poetry: a mystery tradition in honor of the engendering alphabet. Were I a laconic cowboy, I might sum all this up in saying: "My poems don't rhyme, ma'am, but some of them do." Marvin R. Hiemstra was born a noisy Leo in the Year of the Rabbit and delighted the tiny Iowa prairie grass frogs with slam bang versions of Shostakovich’s Preludes before his feet could reach the pedals. Poet, social critic, founding Editor-in-Chief of the Bay Area Poets Seasonal Review, and green man advocate, Marvin, recent work in Caveat Lector, Amsterdam Quarterly, The Satirist, and the North American Review, publishes and appears around the world. “What I hold closest to my heart is Marvin’s reminder of ‘the importance of human affection in this totally terrifying 21st Century!’ ” Shawn Pittard, The Great American Pinup. “Whimsical poet/humorist Hiemstra shares his thoughts and observations on society: a very agreeable addition to contemporary American literature.” Library Journal. 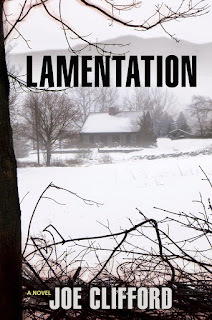 Pacifica Book Club: 'Lamentation' May 23rd at Florey's! 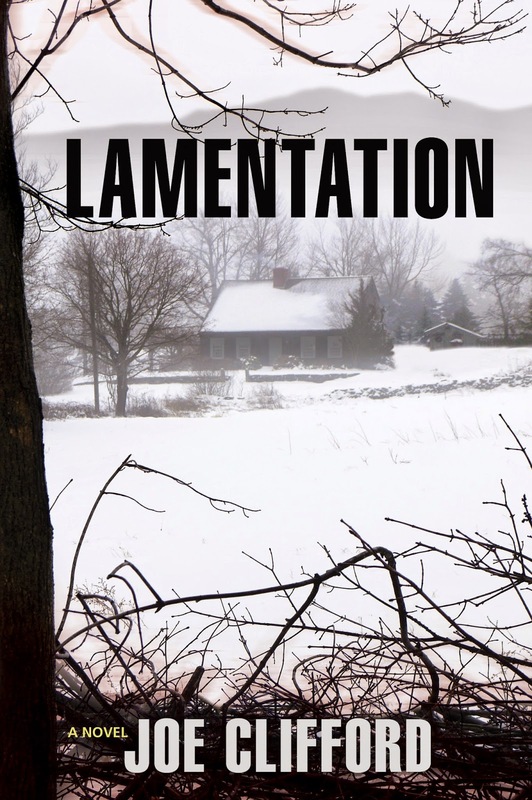 Come by for a chat about our May book, 'Lamentation' by Joe Clifford. In a frigid New Hampshire winter, Jay Porter is trying to eke out a living and maintain some semblance of a relationship with his former girlfriend and their two-year-old son. When he receives an urgent call that Chris, his drug-addicted and chronically drunk brother, is being questioned by the sheriff about his missing junkie business partner, Jay feels obliged to come to his rescue. After Jay negotiates his brother’s release from the county jail, Chris disappears into the night. As Jay begins to search for him, he is plunged into a cauldron of ugly lies and long-kept secrets that could tear apart his small hometown and threaten the lives of Jay and all those he holds dear. Powerful forces come into play that will stop at nothing until Chris is dead and the information he harbors is destroyed. From homeless junkie to successful author, Joe Clifford has dedicated his life to education and the craft of writing and helping other ex-junkies find a voice and a platform for their creative energies. He is the author of several acclaimed books, including Lamentation and December Boys in the Jay Porter series. He earned his MFA from Florida International University in 2008, before returning to the Bay Area, where he currently lives with his wife and two sons. 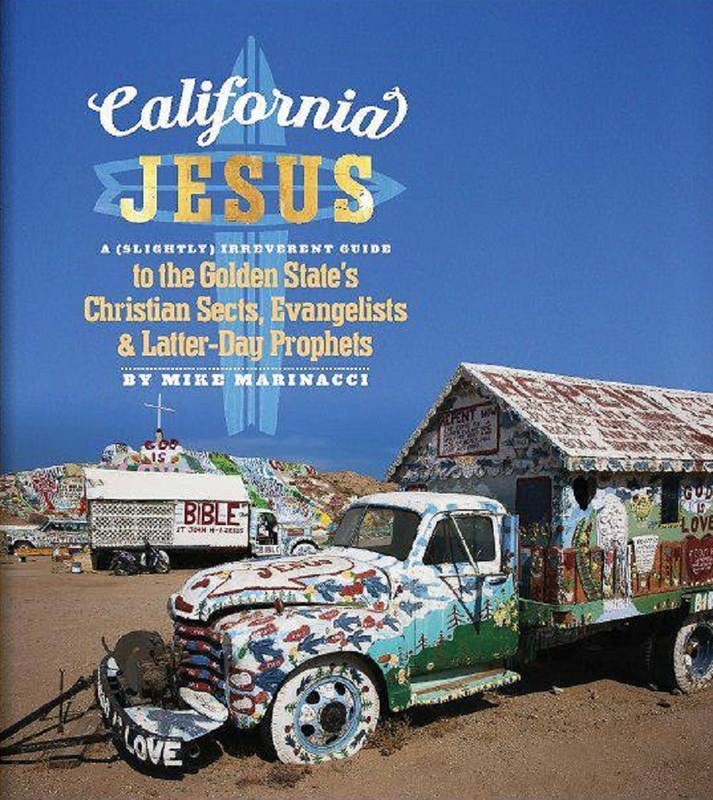 California Jesus - book event with author Mike Marinacci, May 20th at Florey's! 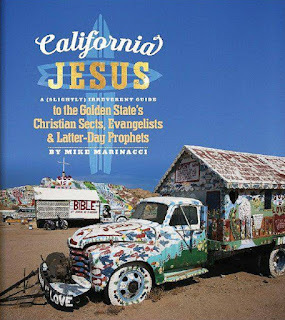 Florey's Books welcomes local author Mike Marinacci as he discusses his book, "California Jesus: A (Slightly) Irreverent Guide to the Golden State's Christian Sects, Evangelists and Latter-Day Prophets". California, long a Mecca for eccentric cults, has also hosted more than its share of unusual and unorthodox Christian evangelists and sects. From pre-Gold Rush days to the 21st Century, visionaries seeking to revive or transform the Faith have flocked to California’s shores, or have emerged from its environs as native sons and daughters. Their often-idiosyncratic crusades have influenced not only Golden State history and culture, but Christianity as a whole. Filled with captivating anecdotes about the state’s most colorful and controversial Christian pastors and sects, and accompanied by many rare photos and illustrations, California Jesus illuminates this absorbing yet little-discussed aspect of both state history and culture, and the Christian experience. Believers and doubters alike, as well as anyone interested in the Golden State’s unique spiritual heritage, will find this work hard to put down. Mike Marinacci is a scholar of religious history, spending over 25 years studying American spiritual groups and leaders, especially the unorthodox sects and figures who have emerged in the Golden State. 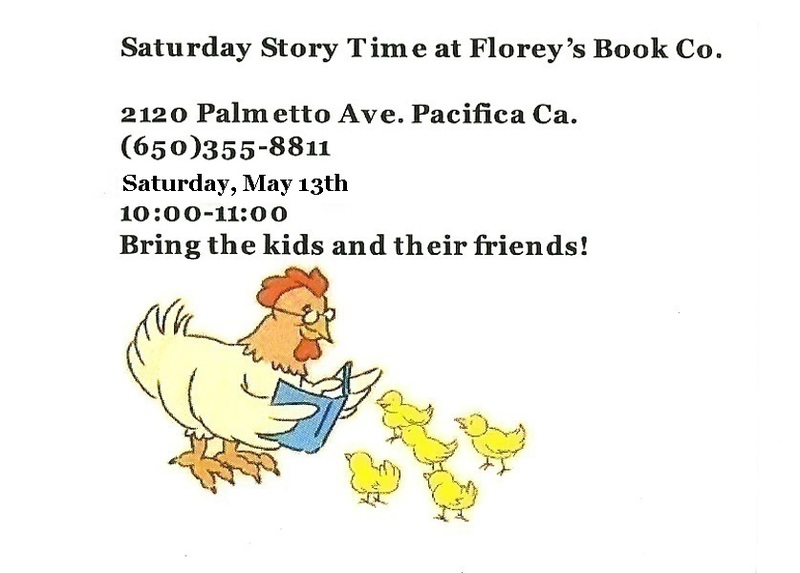 Writers Open Mic, May 13th at Florey's!